WooCommerce is a free ecommerce plugin that can be easily added to your WordPress site. It helps business owners create smooth shopping experiences for customers while keeping the business’s backend organized. Deciding how you are going to accept payments is a crucial step in extending that smooth shopping experience through to conversion and increasing your business’s efficiency. A payment gateway is the internet equivalent of a credit card terminal and allows you to accept payments on your website, but there are a lot of payment gateways on the market to choose from. You’ll want to choose the one that best suits your business’s needs. WooCommerce offers a set of Core Payment Options. Think of it as a payment gateway starter kit. It’s useful if you’re only accepting a handful of transactions a month, but usually not the best fit for a business that plans on growing. The Core Payment Options are built into WooCommerce but come with high processing rates and the providers have lengthy lists of restricted business types, meaning they don’t provide services to businesses that meet any of their high risk criteria. Even if they start processing payments for your business up front, it just means they haven’t looked into your business type, and you may be subject to sudden closure a few weeks down the road. The reason for closure could be as simple as having one too many returns or chargebacks. Whether you’re just starting out in ecommerce or looking to improve your existing online store, you can compare secure payment gateways to find out which is the best online credit card processing solution for your business, at the best value. Authorize.net, an offshoot of Visa, Inc., allows customers to pay by credit card or echeck on your website. Easily manage single payments and subscription billing with this high risk-friendly payment gateway. Customers enter their payment and shipping information directly on your checkout page, without getting redirected off your website. The payment process is streamlined and secure. This tried-and-true payment gateway, founded in 1996, has innovated with modern technology to become a leading credit card processing solution. User-friendliness, reliability and speed distinguish it as our top pick. 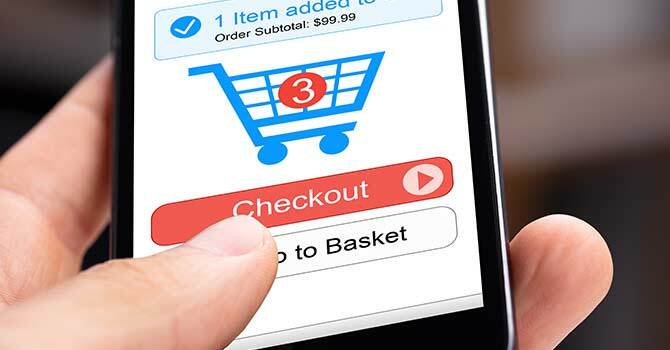 In addition to integrating with WooCommerce, it’s compatible with hundreds of third-party applications—including more shopping carts than any other payment gateway. But you may find that you don’t need as much extra software as you think, since there are so many value-added resources built into this powerhouse payment gateway. Authorize.net is the most popular payment gateway on the market and can accept multiple currencies from the U.S., Canada, United Kingdom, Europe and Australia. Easily process sales, returns and voids, and take advantage of its multi-user interface to limit access and functionality to employees based on their job responsibilities. On top of that, it works with a mobile card reader if you ever need to accept card-present payments. Authorize.net partners are resellers that have access to specialized low rates. Integrating Authorize.net with WooCommerce is as simple as having an account with both platforms, installing the Authorize.net AIM plug-in on WordPress, and entering your Authorize.net Login ID and Transaction Key on the prompt that follows. BankCard USA is a longtime Authorize.net partner. Our in-house integration team is here to walk merchants through the setup details so that your ecommerce site is running exactly as you want it to. Our next pick for best payment gateway that’s compatible with WooCommerce is the NMI eCommerce Payment Gateway. NMI, short for Network Merchants, Inc., offers a sophisticated payment platform to businesses of all sizes. While popular, it hasn’t quite grown to the same size and scope as the longer-standing Authorize.net gateway. Similar to Authorize.net, NMI uses a token vault to secure all customer information that enters your payment system so that you can keep it on file safely. NMI also comes with similar features such as subscription billing, electronic invoices sent via email, credit card and ACH transfer payment options, a virtual terminal for phone payments, a mobile card reader add-on for card-present payments, a payment button, and fraud protection services. NMI offers level 3 payment processing, whereas Authorize.net maxes out at level 2. So if you are a B2B or B2G wholesaler that needs to accept level 3 payments, NMI would be the best option for your business. NMI’s load balancing feature allows businesses to load multiple MIDs on the same gateway and automatically route transactions to the designated accounts. NMI offers custom online reporting. You set the fields you want to run reports on. NMI offers a built-in inventory management system. WooCommerce offers a plugin for the NMI gateway, so the integration process, just as with Authorize.net, is fast and simple. NMI is a high risk friendly payment gateway as well. The payment gateways detailed above are called classic gateways, whereas the starter kit Core Payment Options that come with WooCommerce are modern payment gateways. Examples of modern payment gateways are PayPal, Stripe and Square. Classic payment gateways like Authorize.net and NMI are set up and managed by a dedicated merchant account provider. Your business goes through an underwriting and approval process to get set up with a merchant account that’s used solely by your business. You receive complimentary services such as fraud and chargeback prevention support, PCI compliance support and next-day funding with a dedicated merchant account. The services are customized for your business type. On the other hand, modern payment gateways like Stripe and Paypal are offered by aggregate account providers. Transaction fees are higher, funding takes longer, and fraud/chargeback/individual support isn’t included. With companies like Stripe and PayPal, the full approval process typically happens weeks after you’ve already signed up and started processing, so unexpected shutdowns tend to occur. This is particularly true if you meet any of the provider’s stringent high risk criteria. While modern payment gateways are good options if you only accept payments here and there on a small scale, the more you process, the less financial sense they make for your business. If your business is considered high risk, a classic payment gateway is the way to go. If you are consistently selling, you’ll want a classic payment gateway to reduce your processing costs and take advantage of its many capabilities like invoicing, reporting and accounting reconciliation. No single payment gateway offers a one-size-fits-all solution. Every business is different, and it’s important for your payment gateway to work with the software you already have in place, or plan to have in place. We highlighted Authorize.net and NMI because their diverse functionality and integration potential come at a great value, but we can also cater to a variety of preferences. A merchant account specialist is always just a phone call away to drill down in the comparison of different gateways that are compatible with your WooCommerce site.